If you want to preserve your sanity and avoid unhappy derangement, turn off all corporate and social media from now to Thanksgiving. Since elections are extremely profitable for traditional media / social media corporations, your sanity will gleefully be sacrificed in the upcoming election--if you are gullible enough to watch the "news" and tune into social media. Elections are extremely profitable because candidates spend scads of cash on media adverts. 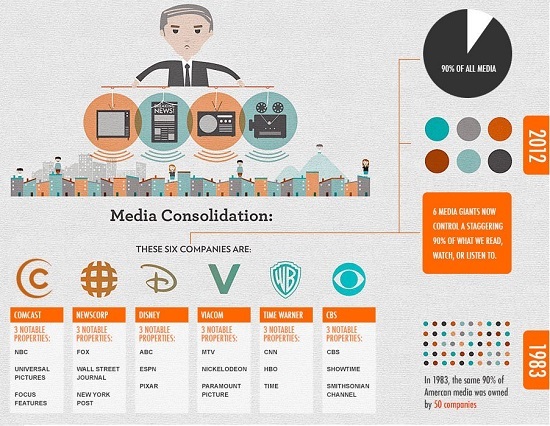 The greater the discord and derangement, the higher the media profits. The more outraged you let yourself become, the more time you spend online, generating insane profits for the corporations that own whatever platforms you're addicted to. Seeking an echo chamber of people who agree with you? We got you covered. Attracted like a junkie to emotionally corrosive "news"? That's our specialty! Want an outlet for your spleen? That's what we offer, because "we connect people" (haha). In other words, if you have a self-destructive attraction to anger, helplessness, frustration, bitter unhappiness and derangement--then by all means, watch the "news" and soak up social media. But while you're destroying your mental health for zero positive gains, please recall that six corporations plus Amazon zillionaire Jeff Bezos own the vast majority of the mainstream media--a truly frightening concentration of power in the hands of a few whose sole purpose is to maximize profit. 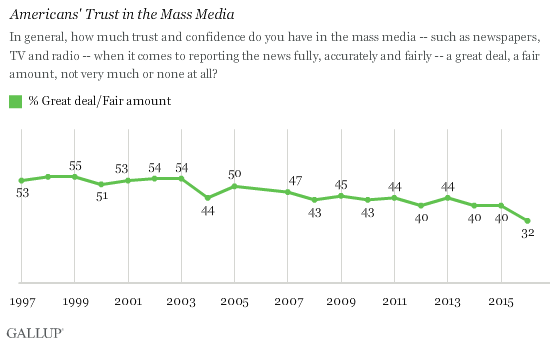 Given the Corporate Media spews the same tired, Soviet-style narrative with increasing desperation, it's no wonder than public trust in the mainstream media is plummeting to all-time lows. The "news" isn't just "fake": it's designed to push narratives that benefit self-serving elites at the expense of non-elites. As entrenched interests compete to protect their profitable skims, scams, monopolies and fiefdoms, the bottom 95% are slipping into darkness. 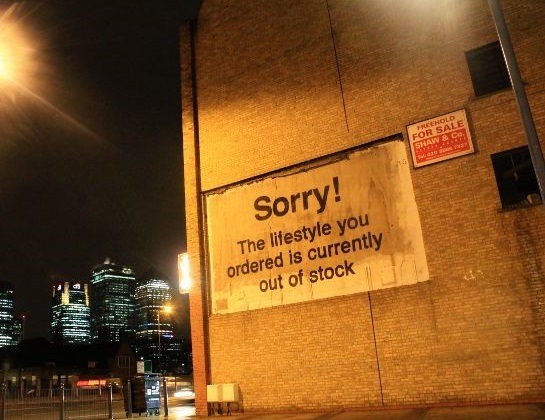 "The lifestyle you ordered" is not just currently out of stock--it's no longer being produced. Propaganda doesn't have to change your mind to be effective-- all it has to do is disable your critical thinking by blinding you with rage, misdirecting your attention, generating an "Other" that acts as a target for projected frustration, creating either-or thinking, splinter the working / middle classes into divisive "tribes" supported by echo-chamber social media and addict you to constant drips of carefully tailored emotional derangement. Welcome to the corporate / social media's gulag of the mind: We'll tell you what's "true" and what is correct to think and believe. 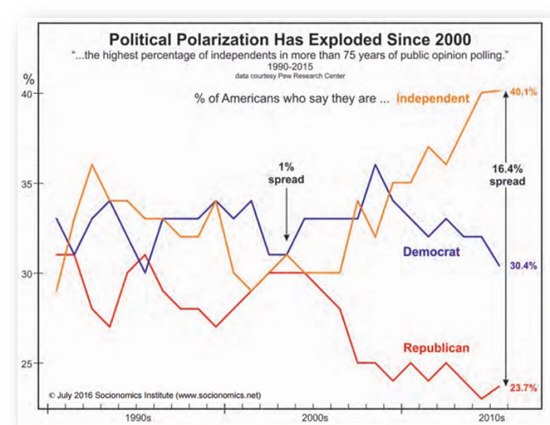 Any deviation from the party line is a threat and must be discredited, marginalized or suppressed. The greater your mental anguish and derangement, the more profit you generate for the corporate / social media, because the more time you spend "engaging" media and social media, the more money they make. Nobody in the corporate / social media cares about your mental health--that's not what they're paid to care about. They're paid to sacrifice your mental health to increase their corporate profits. That's the election in a (heretical) nutshell. If you want to preserve your sanity and avoid unhappy derangement, turn off all corporate and social media from now to Thanksgiving, and other than watching sports or nature programs, it's best to leave the corporate / social media off until Christmas--Christmas 2020. Thank you, Scott M. ($100), for your outrageously generous contribution to this site -- I am greatly honored by your support and readership. Thank you, V.K.C. ($50), for your superbly generous contribution to this site -- I am greatly honored by your support and readership.